The long-distance extension of power and influence by sea was scarcely novel: the Vikings had colonized Iceland and Greenland and reached Newfoundland; the Chinese had sent a number of major expeditions into the Indian Ocean in the early fifteenth century. Yet no state had hitherto dispatched and sustained major naval and amphibious forces across the Atlantic or the Pacific, let alone to the other side of the world. Naval force was also important because it was easier to move men, munitions, and supplies by sea than by land. Such movement came to play a greater role in many struggles. The Turks, for example, learned in the late fifteenth century to move cannon by sea, and then land them for the sieges of coastal fortifications that played such a major role in the military system of their rival, Venice. The conflict in the Horn of Africa between Ethiopia and Ahmad ibn Ibrihim al-Ghazi of Adal (1506-43), known to the Ethiopians as Ahmad Gran (the left-handed), was affected by support received by sea from foreign powers. The war is indeed an instructive instance both of how such struggles could become aspects of wider conflicts and of the transforming role of firearms. Ahmad, a fiery imam, conquered Ada! in the mid-1520s and then launched a holy war against Ethiopia. He also trained his men in the new tactics and fIrearms introduced into the Red Sea region by the Ottomans, who conquered Egypt in 1517. Ahmad overran much of Ethiopia in 1527 and, thanks to better leadership and weapons, higher morale, a more effective command structure, greater mobility, and more flexible tactics, he was able to defeat the Ethiopian Emperor Lebna Dengel at Shimbra Kure in 1528. Ahmad then conquered much of Ethiopia, including the wealthy Amhara plateau, though Lebna Dengel continued to resist from the Christian highlands. In 1541, the Portuguese despatched 400 musketeers to the aid of Ethiopia. A joint Ethiopian and Portuguese army defeated Ahmad in 1541. He then turned to the Ottomans for help. They in turn provided him with 900 musketeers and 10 cannon, with which he defeated his opponents in August 1542, killing 200 Portuguese, including their commander Christopher da Gama. The conflict in Ethiopia, hitherto the land of the mythical Prester John for Europeans, had thus been integrated, at least partly, into global military relationships. In Africa, firearms had most impact along the savanna belt, where European and Islamic 'foreign' influence was strongest, but the overall military situation was more complex. Towards the close of the century, the nomadic pagan Galla advanced from the Ogaden and overran both Ethiopia and Adal. Native fighting methods could be very effective. African coastal vessels, powered by paddles and carrying archers and javelinmen, were able to challenge Portuguese raiders on the West African coast. Although it was difficult for them to storm the larger, high-Sided Portuguese ships, they were nevertheless too fast and too small to present easy targets for the Portuguese cannon. 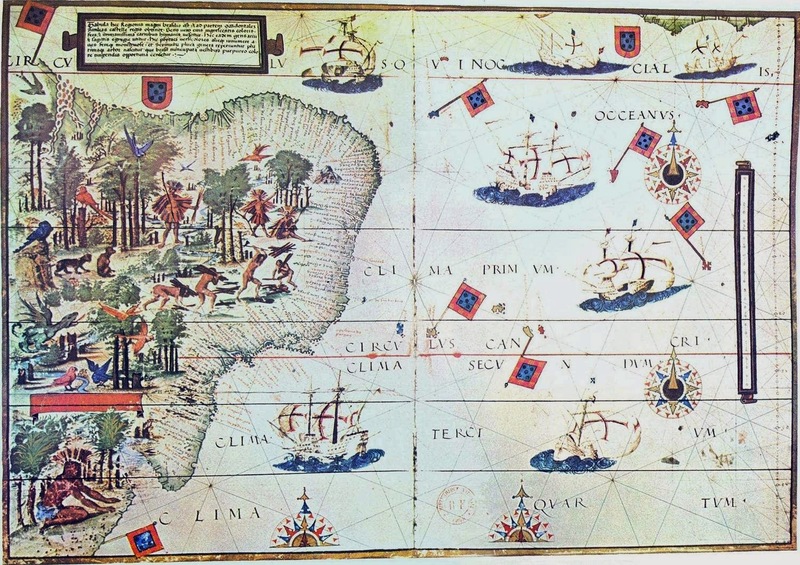 In 1535, the Portuguese were once more repelled when they tried to conquer the Bissagos Islands. On land, the Portuguese cannon proved to have little impact on the African earthwork fortifications. In Angola, the base of Portuguese operations in the 1570s, the slow rate of fire of their muskets and the openness of the African fighting formations reduced the effectiveness of firearms, and the Portuguese were successful only when supported by local troops. Initially, their position was saved by the intervention of an army from the kingdom of Kongo. The global range of the European maritime powers and the impact of gunpowder must be considered alongside the importance of the non-European users of firearms and the resilience of the peoples who lacked them. Both are themes throughout this period, and remind us of the dangers of adopting a teleological perspective in which the future is read back into the past, made to appear inevitable with the perspective of hindsight. The fact that the Europeans dramatically increased the percentage of the world's surface that they controlled in the course of the sixteenth and seventeenth centuries and were to continue doing so in the eighteenth, does not mean that the process of European expansion was inevitable, although it would be foolish to discount its significance and interest. It is, however, important to .appreciate also the great complexities of this process, the many imbalances between the military and naval developments of the various regions, and the contrasting trajectories of European success in many different parts of the world.